in the commercial and packaging printing markets. is renowned for its high quality and industry focused content. Founded in January 1989, Whitmar Publications quickly grew to become one of the leading specialist publisher in the commercial and packaging printing markets. Its goal is to deliver high quality editorial content through its printed magazines, online portals, events and social media channels. At the end of 2012, the company took the decision to concentrate its publications on the growing areas of the printing sector, and it now boasts three of the leading trade titles within the industry, Digital Printer, FlexoTech and Digital Labels & Packaging. 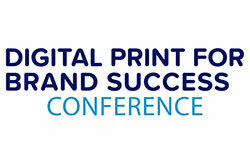 To help the readers understand and create opportunities from the fast changes in the print industry, the company also organises a variety of conferences, seminars and roundtable events, such as the Digital Print for Brand Success Conference. Furthermore, Whitmar Publications has built a fine reputation for putting on the best awards events in the industry. 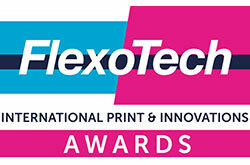 The FlexoTech Awards, held at the Royal Lancaster London on the edge of London’s Hyde Park, celebrates the very best of what the flexo industry has to offer. 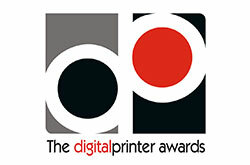 The Digital Printer Awards, held at the London Marriott Hotel, Grosvenor Square, brings out the best of digital printing. The Print, Design & Marketing Awards, held aboard the Silver Sturgeon, River Thames (affectionately known as the ‘Boat’ Awards), acknowledges elegant print jobs, innovative design and superb marketing campaigns. A magazine for buyers and specifiers of paper and board across Europe was established. Renamed Print & Paper Monthly in 2004. E,M&M was a specialist magazine for the pulp and paper industries worldwide. Renamed Paper Making & Distribution in 2002. The first of Whitmar’s niche magazines, FlexoTech, was created for the flexo printing industry. Celebrating the best of what the packaging print industry can offer! This event was originally held aboard the Dixie Queen, but moved to the Silver Sturgeon the following year. 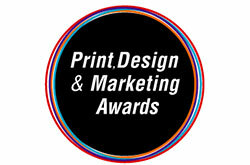 Renamed the Print, Design & Marketing Awards in 2011 and considered by some to be the best event in the printing industry! The first magazine worldwide dedicated to the commercial digital print market is launched. Whitmar makes the decision to concentrate on the printing industry. Focused on the digitally printed packaging market. The company decides to concentrate on niche titles. to discuss what’s needed in the world of printed packaging. The online printing industry job board is added to the Whitmar stable.